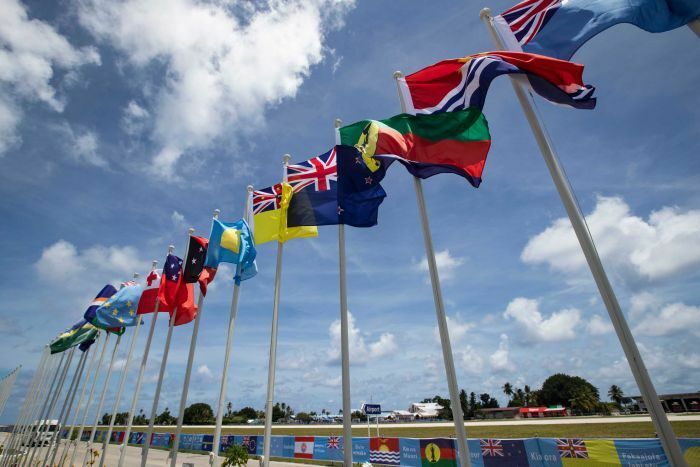 Despite the lack of formal endorsement from this week’s Pacific Island Forum in Nauru, Vanuatu will continue an initiative to have West Papua re-listed as a non-self-governing territory at the United Nations. Vanuatu has asked Forum member states to support a proposed resolution to the United Nations General Assembly in 2019, to recognise the right of West Papuan self-determination and relist West Papua with the UN Special Committee on Decolonisation. Forum states like Nauru, Solomon Islands and Tuvalu backed a similar initiative in 2013, which saw French Polynesia re-listed with the UN Special Committee in the face of French opposition at the UN General Assembly. In recent years, the umbrella group United Liberation Movement of West Papua (ULMWP) has been seeking membership and support from regional and international bodies. Lora Lini, the daughter of Vanuatu’s first Prime Minister, the late Father Walter Lini, has been appointed as Special Envoy on Decolonisation of West Papua to the Pacific Island States. Within the Melanesian Spearhead Group, Papua New Guinea and Fiji have resisted the push to make the ULMWP a full member, while Vanuatu and the FLNKS have backed the idea. Former Solomon Islands Prime Minister Manasseh Sogavare was a vocal supporter of West Papuan self-determination, but under the new government of Prime Minister Rick Houenipwela, the country has taken a more measured diplomatic stand since last year. Given longstanding reservations from Australia, Papua New Guinea and Fiji, the Vanuatu government is looking beyond the islands region for support. Regenvanu noted that support will come from Europe, the Non-Aligned Movement and other international groupings. Parallel to this, Bougainville is also scheduled to hold a referendum on its political status, proposed for 2019, despite a lack of support for independence in the PNG Parliament. Next year’s Forum will be held in Tuvalu, which has provided diplomatic support for West Papua and the 2013 re-inscription of French Polynesia. The 2020 Forum will be hosted by Vanuatu, so the issue of self-determination in Melanesia will continue to be debated. The Kompas newspaper reports the country’s top security minister, Wiranto, who like many Indonesians goes by only one name, saying the money would be used to finance soft diplomacy efforts in the South Pacific. He said a lot of countries in the region get misinformation about Indonesia’s attitude towards Papua and that actually Jakarta was promoting development there. The proposed budget would be used to improve the image of Papua and increase Indonesian engagement in the Pacific, including border security and security intelligence cooperation. Wiranto said Indonesia had invited Nauru President Baron Waqa and Vanuatu Prime Minister Charlot Salwai to see the positive work in Papua for themselves. Nauru and Vanuatu have called for investigations into alleged human rights abuses in West Papua at the United Nations but have softened their tone in recent months. Mr Waqa met with Wiranto in Nauru in February and voiced support for Indonesia’s development of Papua. And an April visit by a Solomon Islands delegation to Papua caused an upset among staunch advocates in the traditionally pro-Papuan independence country. In his comments this week, Wiranto said countries promoting Papuan independence at the United Nations had to be dealt with. YAREN, 05 SEPTEMBER 2018 (PACNEWS) – The government of Vanuatu is pursuing bilateral discussions with Leaders of the Pacific Islands Forum in Nauru this week to seek their support for its proposed resolution to the United Nations General Assembly (UNGA) to relist West Papua on the UN Decolonisation committee. Foreign Affairs Minister, Ralph Regenvanu told PACNEWS his government was mindful of the opposition from some member countries. “They are going to try to block it and we know they are not going to support it. We are simply asking other Pacific states to support that resolution when it comes to the UNGA next year. We are working on putting together that resolution to the UNGA in 2019 and getting a vote of majority support, said Minister Regenvanu. Despite opposition from Fiji, Papua New Guinea and Australia, the Vanuatu Minister said his government will continue to engage with them in the lead up to the UNGA session next year. “We continue to talk with them all the time. We respect their positions. We didn’t come to the Forum with the intention to have a resolution because we know we won’t get it. “All we are doing is bring it to the attention of the members and ask them for their support. As I said earlier, so far there are indications that we will get the support of the majority of Forum members, said Minister Regenvanu. He said indications from the bilateral meetings conducted so far, show majority of the Pacific Island States at the Pacific Islands Forum will support the resolution. Apart from the Pacific, the Vanuatu Government has also started its campaign for support in other regions of the world. “The Pacific will represent some of the votes but most of the votes will come from outside the region so we are working on all fronts to try and get those votes secured. “There are signs of support from the African, Caribbean and Pacific (ACP) group. We had a series of bilateral at Lome earlier this year. It’s now on the agenda of the ACP political sub-committee to discuss and hopefully come up with a resolution of the ACP in December this year – at the Council of Ministers meeting. We’re also on the agenda of the Caricom Foreign Affairs Minister meeting and the African Union Summit. We are now approaching Latin American States and the European Union. At the same time, Vanuatu has also put its name up to be on the UN Decolonisation Committee in the next round of voting. On the new security arrangement for the region through the Biketawa Plus, Vanuatu strongly support the assertion by the Forum Island countries that climate change is the greatest threat to the livelihood, security and well-being of the peoples of the Pacific. “The Pacific has consistently said that climate change is the single greatest threat to the existence of our countries and that statement will be reaffirmed in the Biketawa Plus Declaration coming out of Nauru. “If it is the single greatest threat to our security, then any concerns about security must be addressed and taken into account by our partners as our main concern and addressed accordingly, he said. He revealed that certain Forum members have attempted to water-down some language in the security declaration. “There have been some attempt by certain of our members to do that but luckily that phrasing comes directly from the 2015 Leaders communique. You can’t change the wording without changing what the Leaders agreed to, said Minister Regenvanu. The Biketawa Plus Declaration endorsed by Foreign Affairs Ministers in Samoa last month recognised human security, humanitarian assistance and environmental security in building resilience and disasters and climate change. The declaration also respects and assert the sovereign rights of every member to conduct its national affairs free of external interference and coercion the principle of non-interference in the domestic affairs of members…. Vanuatu Daily Post – Climate change, labour mobility and West Papua were some of the issues that Vanuatu was part of in discussions during the Pacific Islands Forum meeting in Nauru. 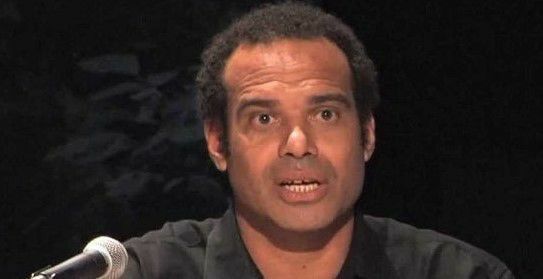 Foreign Affairs Minister, Ralph Regenvanu, who is part of Vanuatu’s delegation attending the Forum meeting said the issue that was discussed more than other issues was climate change. 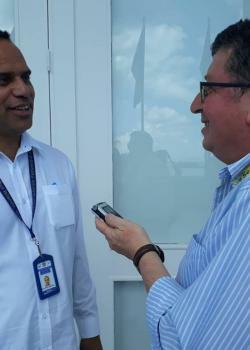 Mr Regenvanu said Australia’s stand may be due largely to Australian domestic politics. On the issue of West Papua, Mr Regenvanu said a resolution will put before the United Nations General Assembly in 2019 for West Papua or what used to called the Netherland New Guinea’s case can be listed with the Decolonisation Committee. Wenda (right) exchanges views with Geobjects Global Operations Manager, Paul Montague. 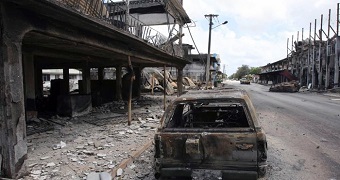 PACNEWS, YAREN/PORT VILA, 05 SEPTEMBER 2018 (VANUATU DAILY POST) – “There are two topics in the West Papuan struggle; one — Pacific leaders facing natural disasters and two – we in West Papua are facing genocide in our country. “In addition West Papua is also saving the planet because as the second largest rain forest after the Amazon, we simply say politically, West Papua is the lung of the world and by saving it; we are also saving the world. Who knows what is going to happen in one hundred years’ time because the islands are sinking. West Papua can become the home of the Pacific (people) during sea level rise. I always tell Pacific leaders that when you save West Papua, you save the Pacific. When Vanuatu presents the West Papua Case to PIF, it is our prayer that other Pacific leaders will also support Vanuatu to take West Papua to the UN Decolonisation Committee”. That is the message of the Chairman of the United Liberation Movement of West Papua (ULMWP), Benny Wenda, to the Pacific Islands Forum’s 49th Session at Nauru this week. 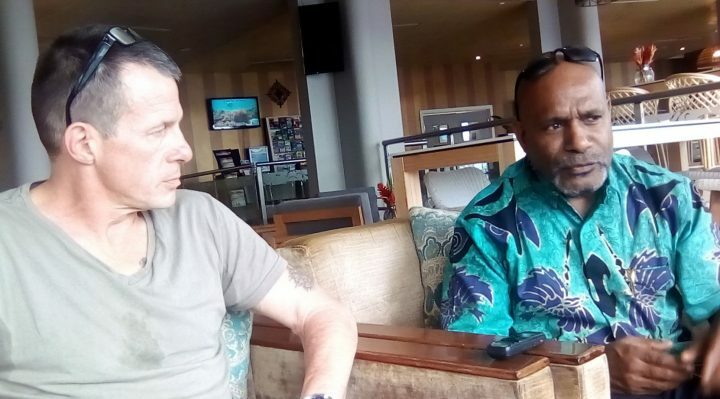 Member of Parliament for Ambrym Albert William says what Father Walter Lini said about West Papua is true that Vanuatu must continue to support freedom for West Papua. “Now the issue of climate change has reached critical stage in West Papua and especially seeing what is happening in nearby Australia now. The signs are there. It is visible, you can feel it, you can see it. The Great Barrier Reef is facing a lot of stress from the negative excessive impact of development. It is a threat to all the reefs of the islands. When there is no reef, there is no fish and there is no food for humanity. The Australian Government has no other way but to step in to help farmers who are facing drought now”. That is the view of MP William, a former Director of the Department of Environment of the Vanuatu Government. He entered the Grand Hotel to join members of the ULMWP Executive as it finalised its stand ahead of the Pacific Islands Forum 49th Meeting in Nauru, where climate change is one of the prominent issues on the agenda. Speaking for Geobjects, an organization that has developed a software to help Governments to better manage their environments while the Governments are allowing private companies and international conglomerates to exploit natural resources like what the American company is doing mining mineral resources in the second largest open cast mine in the world at Free Port Mine in West Papua, Geobjects Global Operations Manager Paul Montague of Australia says the advantage of the software is that it shows all the impacts of such giant or minimum developments and also predicts what is going to happen in the future. 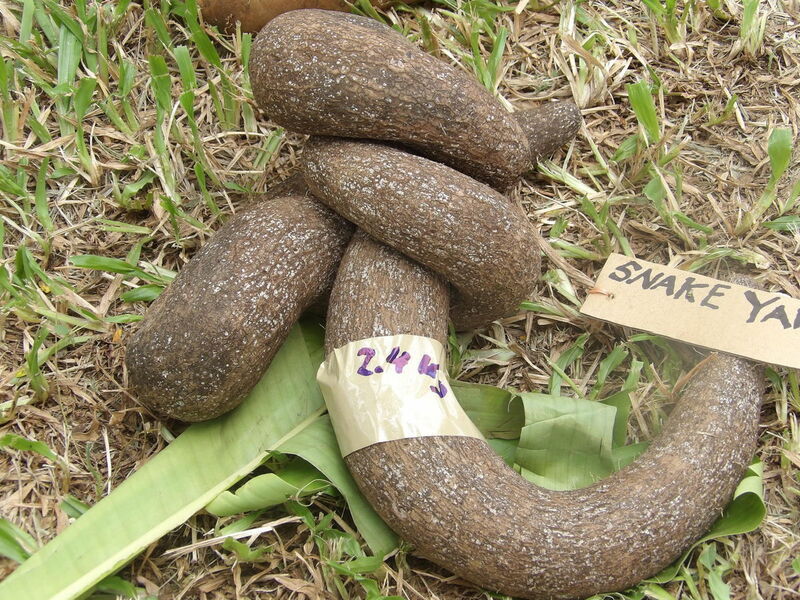 Montagne says the software was developed to help Governments in Africa, Asia and the Pacific to better equip themselves in the way they allow their natural resources to be exploited. Asked how a member country of the Pacific Islands Forum (PIF) can have access to the software, Montagne explains, “We would go into the countries that are interested in our product and sit down with them and try and establish a base line. Asked if a PIF country has shown interest in the software, Montagne says countries further afield including Nigeria and Chana in Africa and the African Union have shown interests in the software. While on the subject of Africa, he says the challenges facing Africa are similar to West Papua where foreign companies set up to reap the benefits from the countries’ natural resources while on the long run, leaving behind environmental damages difficult to correct. Chairman of Liberation Movement of West Papua Benny Wenda says his country has become a regional issue and cannot go away from the PIF. “So far Vanuatu has been the only country to talk about the plight of West Papua but now we need more leaders from the Pacific to take up the West Papua issue. 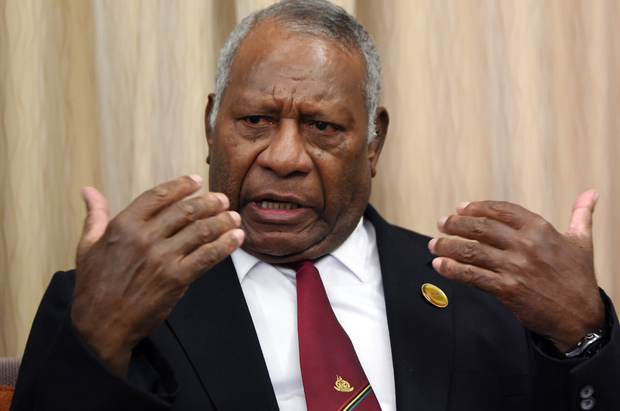 For example the PNG Prime Minister Peter O’Neil has already stated that West Papua has to be taken back to the UN and so the Pacific has to be duty bound to take the case to the UN”, Wenda says. “We are not asking the Pacific to invade Indonesia, we are asking them to sit down and discuss the issue as to whether the UN or Indonesia is right or wrong. We have to revisit the West Papua Issue. As members of the UN, Pacific leaders have a moral obligation to bring this case to the UN. The human rights issues in West Papua are getting worse and worse. Last month in August, 49 West Papuan students were arrested across West Papua; killings and rapes by Indonesian soldiers are happening. Even last month in Dunga, there were displacement of Melanesians and human atrocities but nobody was there to report on the issues while Indonesia is assuring Melanesians, Polynesian and Micronesians that they are the good guys promoting democracy in the islands. But you cannot bring development on top of suffering. Pacific Islands Forum: Who wants what and why is it tense as leaders meet in Nauru? They’re the custodians of what some Australian politicians rather patronisingly call “our backyard” — a vast swathe of the Pacific Ocean. Today leaders of Pacific Island nations will sit down together in Nauru, a speck of a country perched just south of the equator. They’re there for the Pacific Islands Forum leaders’ meeting — the pre-eminent gathering of top dignitaries from islands large, small and tiny. 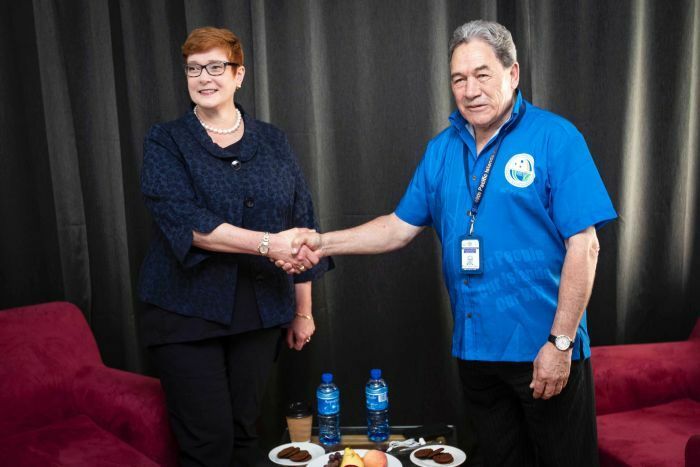 Australia is by far the biggest aid donor in the Pacific and has prided itself on its strategic pre-eminence as the region’s “partner of choice”. But some quietly simmering tensions between Australia and its Pacific neighbours are starting to break into the open. The meeting risks being overshadowed by flare-ups on refugee policy and the battle for influence between China and Taiwan. Yesterday a TVNZ journalist was detained for four hours after trying to interview a refugee on the island. There was also a diplomatic confrontation over protocol between China and Nauru, when a Chinese official stormed out of a meeting and was branded “insolent” after not being allowed to speak. 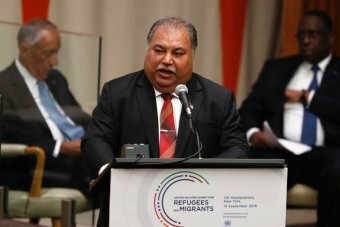 Nauru’s President Baron Waqa, chairing the forum, said the delegate “created a big fuss” and held up the meeting for several minutes after other forum leaders were given priority to speak. 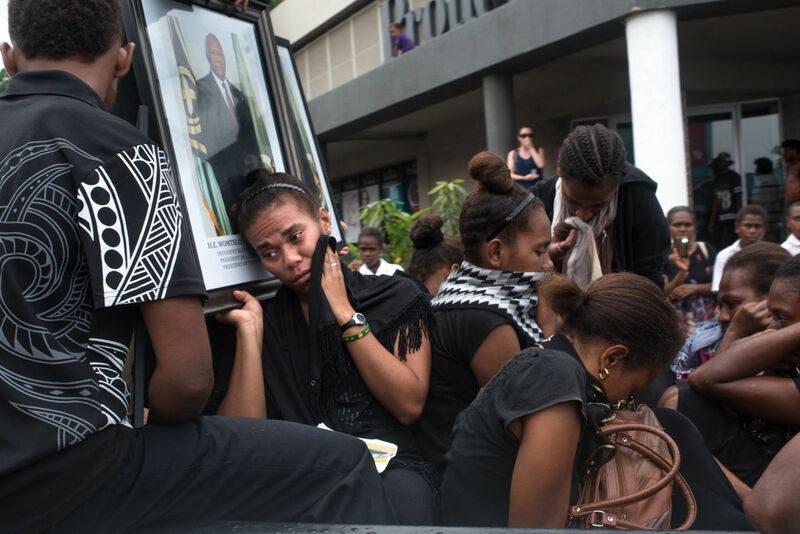 “Maybe because he was from a big country he wanted to bully us,” Mr Waqa said. What do Pacific leaders want to talk about? Climate change will be front and centre in today’s meeting. Many Pacific Island leaders have been warning that the changing climate poses an existential threat to them. Some of their nations barely poke their noses above the ocean — Tuvalu lists its highest point as 4.6 metres above sea level. Any rise in ocean levels could prove disastrous. Perhaps more importantly, these tiny atolls are hugely vulnerable to cyclones which sometime rake the Pacific, and which scientists predict will become more intense as the climate changes. All the leaders at PIF are set to sign a new security agreement called Biketawa Plus, which labels climate change the “greatest threat” to the livelihoods and security of Pacific people. But the timing is awkward for Senator Payne. She’s become Foreign Minister courtesy of a coup provoked — in part — by internal turmoil over energy policy. And while the Pacific might want to make deeper cuts to carbon emissions, some Coalition MPs are urging the new Prime Minister Scott Morrison to tear up the Paris agreement entirely. Australia has already pledged hundreds of millions of dollars to help Pacific Island nations protect themselves against climate change, and may make further commitments at this meeting in Nauru. But Pacific leaders are likely to seek assurances from Senator Payne that Australia will stick with the Paris agreement. Some might even publicly demand that the Australian Government do more to cut emissions — although if that happens they’ll be careful to stick to diplomatic language. What does Australia want to talk about? The scale of Australia’s commitment to the Pacific is beyond question. 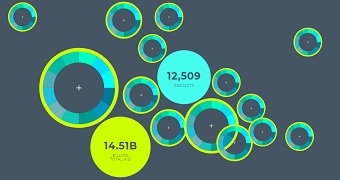 It’s not just the largest aid donor in the region, it’s the largest investor as well. But China has been making inroads, and Australian officials are wary of its strategic ambitions. Senator Payne will want to use the forum to deepen cooperation on a vast range of fronts, cementing Australia’s position as the most significant presence in the Pacific. Expect plenty of talk about how Australia and Pacific nations will do more together on border security, maritime surveillance and international crime. Employment opportunities are also scarce in the region, and the Government is gradually opening up Australia’s labour market to workers from the Pacific who are hungry for work. Yesterday Senator Payne announced three more nations — Samoa, Solomon Islands and Vanuatu — will join Australia’s Pacific Labour Scheme, allowing their citizens to fill jobs in rural and regional Australia. But any attempt to subtly push back against China could meet resistance. Last week Samoa’s Prime Minister took a thinly veiled swipe at Australia, accusing “traditional partners” of taking a “patronising” attitude to Pacific nations which want to deal with China. Jenny Hayward Jones from the Lowy Institute points out many Pacific leaders dismiss Canberra’s warnings about Beijing’s strategic intentions. “Most seek out and welcome China’s interest in financing much-needed infrastructure and in funding assistance for health,” she wrote in the Interpreter. And she argues Australia’s climate policies will make it harder to stop Pacific nations from drifting into China’s orbit. “Australia wants to convince Pacific Island governments that they need to be more alert to the strategic threat posed by China,” she said. Why did a Chinese official storm out of a meeting? Australia is not the only player in the room who’s anxious about China’s rise in the Pacific. About half of the countries that still recognise Taiwan are in the Pacific, and receive generous aid payments from Taipei. Beijing is trying to use both the carrot and the stick to lure them away — which means Taiwan and China are caught in constant tussle for influence in the region. Yesterday those tensions spilled into the open when a senior Chinese official stormed out of a meeting after being refused permission to speak by forum chairman, Nauru President Baron Waqa. Nauru recognises Taiwan, and had already irritated China by refusing to allow its delegates to enter the country on official passports. 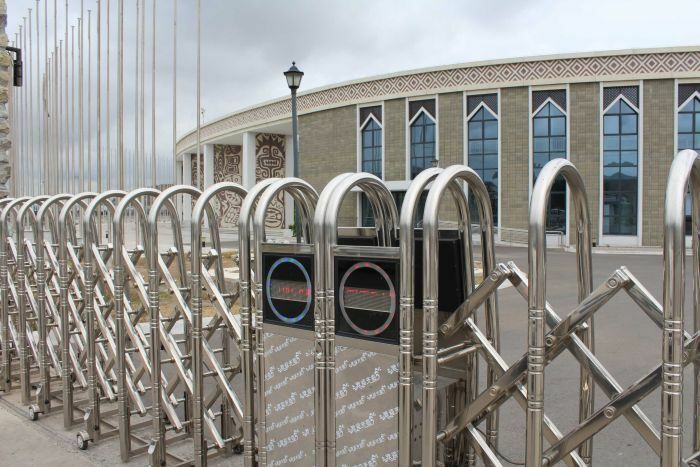 Mr Waqa accused the lower-level official of breaching protocol by trying to speak when priority was to be given to prime ministers, presidents and other high-level delegates. “He insisted and was very insolent, and created a big fuss, and held up the meeting of leaders for a good number of minutes, when he was only an official,” Mr Waqa said. What does no-one want to talk about? Several hundred refugees are still living in Nauru — some only a few hundred metres from the airport where leaders are landing. 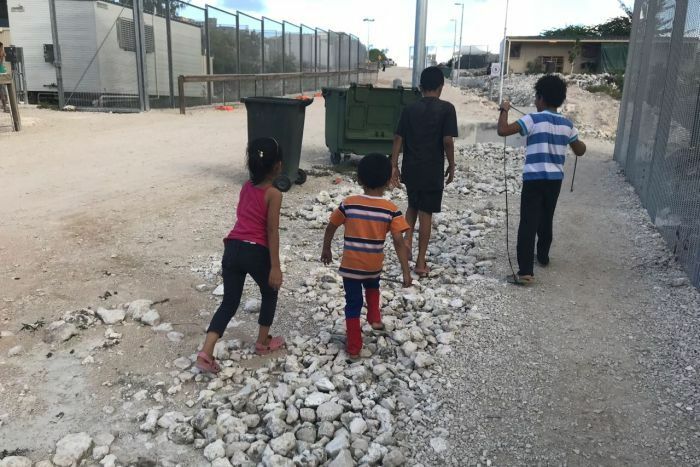 Last month former workers on the island told the ABC that refugee children were struggling with deteriorating mental health, and were at risk of death. Yesterday the media spotlight swung back on Nauru’s refugees when New Zealand reporter Barbara Dreaver was detained while trying to interview refugees on the island. Human rights groups say the situation is intolerable, and are demanding PIF leaders put the issue front and centre when they meet today. But almost no Pacific leaders want it on the agenda. They are wary of being caught up in Australia’s charged domestic debate on refugee policy, and worry the PIF leaders’ meeting will be side-tracked from issues crucial to their future. All eyes will be on New Zealand’s Prime Minister Jacinda Ardern, who has repeatedly pressed Australia to allow some refugees on the island to resettle in her country. Expect her to make that offer — once again — in Nauru. But don’t expect Australia’s answer to change.